If you plan to replace your device to another blood glucose meter from i-SENS in the future, the data transfer from the aboved named devices are immediately available for you. 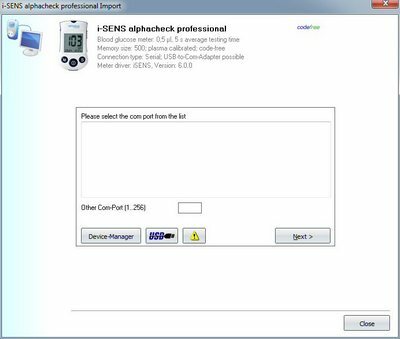 For the data import from i-SENS alphacheck professional the original data cable from the manufacturer is necessary. More information can be found on the Website of the manufacturer.